Words escape me trying to express the immensity of emotions I’ve just come home with after spending the day in London in the build up to Rachel Brathen’s yoga class. Otherwise known as “Yoga Girl”, I have previously mentioned Rachel when speaking about her foundation and the donation class I held. When you experience something powerful and moving it is generally in the present moment. It is all consuming, intense, and you fully enliven it, ending up feeling like it was all a blur. I can only try to put into words the beautiful class that Rachel had here in London. 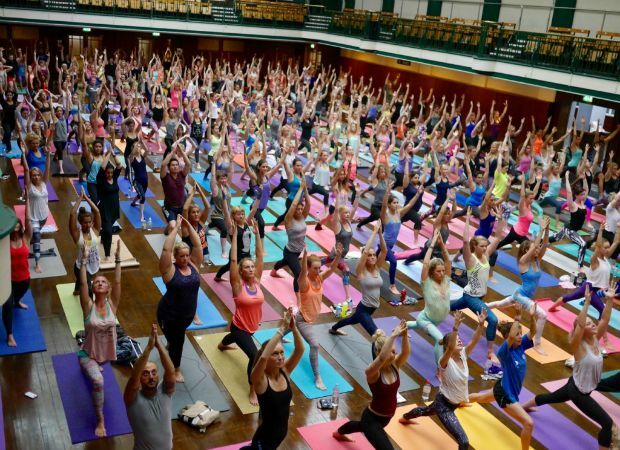 A room full of inspired yogi’s, a few whom were even complete beginners having never attended a yoga class before. What a special way to have your very first yoga class and how very brave going into room with so many people! The energy inside the building was buzzing, it felt electric and when Rachel came to the stage, your attention was immediately drawn to her. 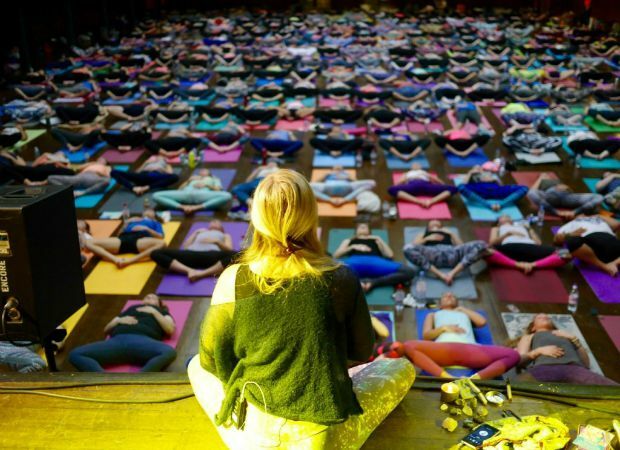 We moved through a magical 90-minute flow class, inhaling, exhaling, and releasing. There is something pretty amazing about 300 people in a room breathing together all at once. Rachel encourages people to be open and authentic. I agree with her when she said that London is quite a closed up city; people like to keep to themselves, distance themselves from one another. She wanted us to feel rather than be dismissive if we happened to bump arms or legs with our neighbouring friends on the mat. One girl beside me when we began was so hesitant to place her arm on my shoulder and she was quite cold. By the end of the practice, she was looking over, smiling, warm, and open. When I arrived home, I cried. Stuck emotions, pent up frustration, all sorts of feelings just releasing. All releasing. This is the true beauty of yoga. The yoga that many people fail to look at and tend to miss for they’re trying to focus on all the wrong things: if they can touch their toes, stand on their head, what might make the prettiest Instagram picture. But the true beauty of yoga is when it’s taken off the mat and it intertwines into our everyday lives. This is when true change and acceptance comes. This is when the magic really happens.